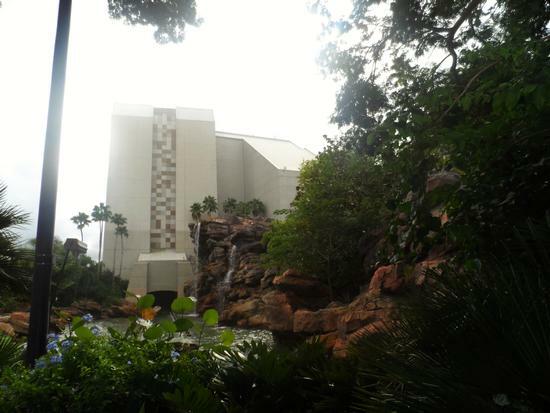 Jurassic Park River Adventure is a flume ride in Jurassic Park at Universal's Islands of Adventure. While it's not the best, it is also recommended. The minimum height to ride is 42 inches. What possibly could go wrong on a peaceful boat tour through Jurassic Park’s collection of gentle, plant-eating dinosaurs? You’ll float outdoors through an impressive collection of Universal’s animatronic dinosaurs before... well, as Jeff Goldblum’s Dr. Ian Malcolm said in the movie, “Oooh, ahhh... that’s how it always starts. Then later there’s running and screaming.” Sure enough, the velociraptors escape, more meat-eaters are running loose, and, oh, is that a T-Rex trying to eat you? Hang on, because it’s all downhill from there.